I have a few paintings in this group show curated by Susanna Meiers. 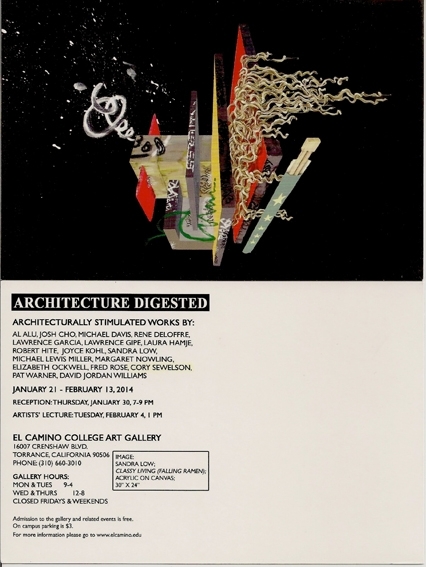 Please come to the opening reception on Thursday, January 30, 2014 from 7 – 9 pm. This entry was posted in Show on December 29, 2013 by Cory.